Guinea pigs, like people, experience pain after surgery. To help keep them as comfortable as possible your vet has prescribed Metacam oral suspension, an easy-to-administer liquid which helps control pain during recovery from surgery.  If your guinea pig has had a general anaesthetic it may take them a little while to settle back into their normal routine, although the after-effects of the anaesthetic will normally have worn off by the time they come home. It is important to follow your vet’s discharge instructions and if you have any concerns about your guinea pig while they are recovering from surgery you should contact your vet for advice. How do guinea pigs show that they are in pain? For the first 24 hours after surgery, it’s not unusual for guinea pigs to be quieter and less active than usual. Pain can persist for several days following surgery and, unlike people, guinea pigs cannot tell you when they are in pain. After surgery, rest is very important, so make sure you follow your vet’s advice to help your guinea pig make a full recovery. Ensure bedding is clean, comfortable, warm and dry. It’s important your guinea pig starts eating again as soon as possible following surgery. Unless instructed otherwise, offer them food such as fresh grass or hay when you get home, with plenty of water. If your guinea pig doesn’t eat or pass droppings after returning home, please contact your vet for advice. Your guinea pig may find it soothing if you gently stroke or groom them, this may help them stay calm and reassured. Remember to avoid touching any affected areas as these may be sore or painful. Guinea pigs are herd animals and don’t like to be alone. Unless otherwise instructed by your vet, keep your guinea pigs together to ensure they have company and to help them feel safe and secure. Remember, your guinea pig may take a little while to get back to their old self. Your vet is best placed to advise on how to help your guinea pig and what to expect during their recovery. Remember that if you are concerned about your guinea pig you should seek the advice of your veterinary practice.